Here at Philip Raby Porsche we like to look after our customers well. We may not have a flashy glass and tiled showroom (although we do make a mean cup of coffee and have some tasty biscuits), but we do offer really good service. All our Porsches (and other cars) are put through a thorough mechanical inspection by Porsche service specialist AW Motor Sport, which is conveniently situated next door. Any faults they find are rectified before sale (unless they are age-related and not fixable, in which case we make the buyer aware). We also put a full 12-month MoT on the car no advisories, and service the car if it needs it. We do this for two reasons. First, of course, we like to ensure that all the cars we sell are mechanically sound, so that the new owners are happy. 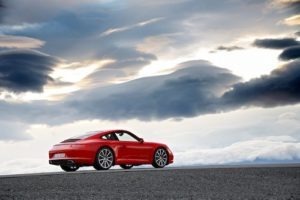 The other reason is that we include a comprehensive warranty with our Porsches. Whereas most used car warranties are insurance-based (which means that companies do their best not to pay out), we put our own money behind our warranty. It is administered by a third-party specialist warranty company but we have a full say in what claims are honoured – in other words, we do pay for repairs without quibble. So it’s in our interest to ensure that cars are right before they are sold, to minimise any warranty claims. 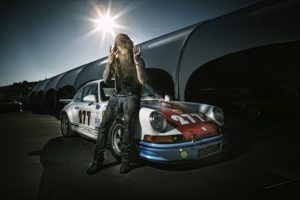 Don’t just take it from us; although it’s rare for our Porsches to need attention, however careful we are, there are rare occasions when things go wrong. And when they do, we step up to the mark. Some customers we have had to help out have been kind enough to comment on the Pistonheads forum. You can read some of their feedback here, here, here, and one more here. Treating customers well means we perhaps don’t make as much profit as we might be able to, but we genuinely believe that some things in life are more important than money. Please click here to see our current stock. Well said Phil. 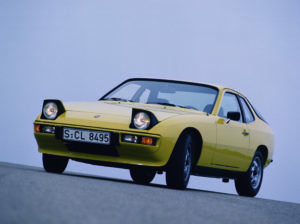 We also operate a similar approach to customer service when we sell our good, honest Porsche parts and spares! Hi Phil. Nice read. It should be about the customer.